Quiz time! Can you correctly identify all six Spider-Man eyes? Time's up! 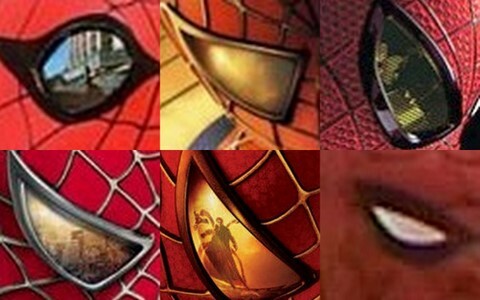 Clockwise from upper left: The Amazing Spider-Man TV series, Spider-Man, The Amazing Spider-Man movie (upcoming), The Electric Company, Spider-Man 2, Spider-Man 3. Your summer of superheroes: it never ends!